This year was the second time I attended the West Midlands Vegan Festival in Wolverhampton. 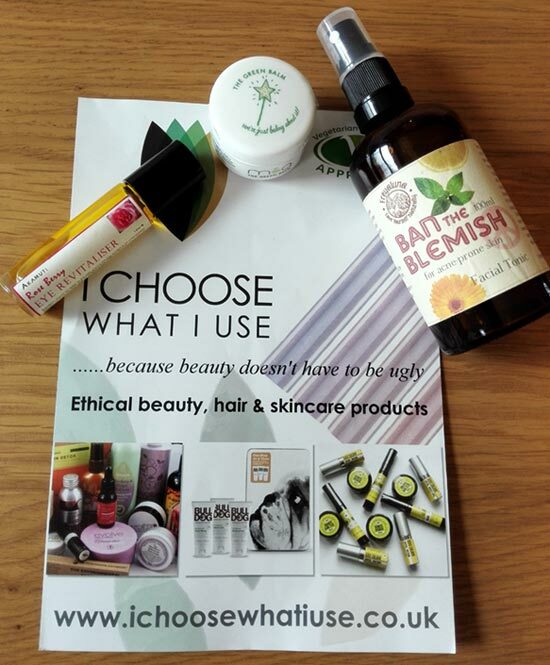 It was very similar to last year’s so I don’t want to go into detail what you missed, instead I want to share with you some of the health and beauty brands I came across and tell you a little bit about them. Before I start talking about health brands, just to be clear, I am not a vegan but many of the products I use are vegan and many of the foods I eat are vegan. Of course, I am totally against animal cruelty and would never want to use anything that’s been tested on animals. I currently don’t eat meat, but I eat fish, eggs and sometimes dairy products (I don’t drink cow’s milk though). I love going to festivals like the West Midlands vegan fest as it’s a great place to discover new vegan products. I think if I find nutritious and delicious vegan foods which would replace my current non-vegan foods I would be on a good way to be vegan but at the moment I am not there yet. 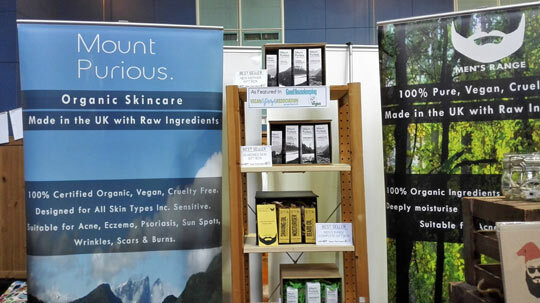 So… back to health and beauty brands..
First on the list, Mount Purious organic skincare! Quite unusual name for organic skincare range, don’t you think? In the range you will find different organic oils for skin and haircare, body moisturisers and rosewater facial toner. All their products are certified organic by the UK Soil Association, registered with Cruelty Free International and the Vegan society. Mount Purious brand is part of Good Day Organics which also have another brand but it’s aimed at men and called Men’s Range (I find different brand names a bit confusing though). 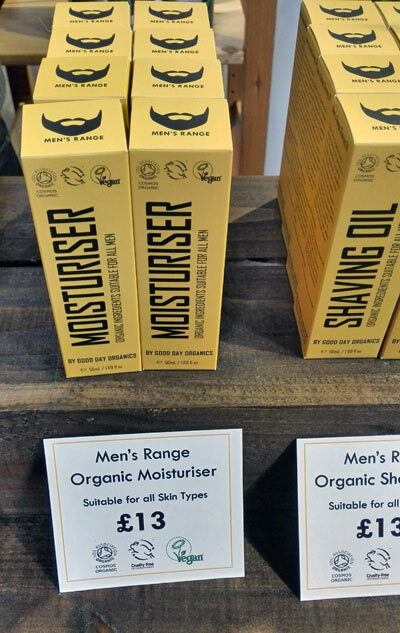 At the festival I was really pleased to see organic moisturiser specifically for men and it was really affordable too. It’s definitely something that I would want to treat my boyfriend with. After a bit of research I learnt that G & G Vitamins are 50 year-old brand which focuses on creating high quality vitamins and supplements which are as natural as possible. 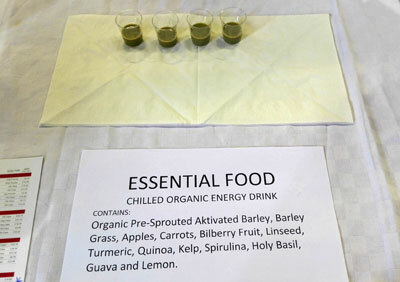 At the festival they were promoting their Organic Essential Food product which I actually had a taste of. It didn’t taste bad with almond milk actually. I really love a list of ingredients in this product, everything in Essential Food is natural and you get so much goodness when drinking this, including vitamins B and C. I would probably consider buying this in the future after I use up my current supplements. NewGen Direct is another supplement company I came across and their product NewGen Superfoods Plus has an impressive list of organic natural ingredients – it contains a whole range of extracts & concentrates, raw wholefood superfoods, seeds and grains; bacteria cultures and even digestive enzymes. 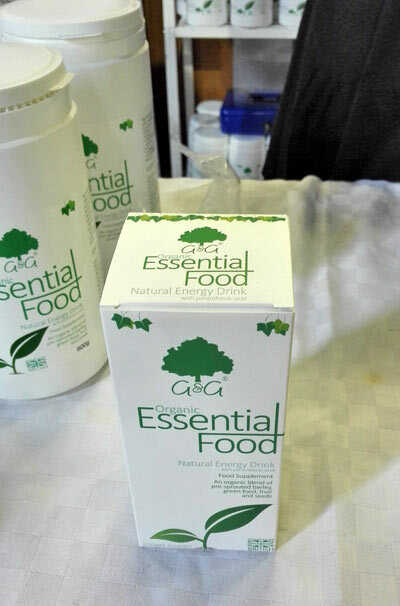 The product is 100% natural, gluten-free and certified organic by Organic Food Federation. It sounds like the best natural supplement you could have but it doesn’t come cheap! A pack of 15 sachets will cost you £37.99. Pulsin (or Beond) is a brand I haven’t seen in shops before, maybe because you will find them in Tesco but not in Sainsbury’s where I normally shop! At Pulsin’ they make natural protein bars, protein powders and healthy treats which are organic as well. I tasted some of their bars which are similar to Nakd bars only that they are organic, with different flavours. They definitely taste good, no doubt about that! I picked the leaflet about Aconbury Sprouts company at the talk I attended about sprouting – the company sells organic sprouts and organic sprouting seeds, perfect if you want to give sprouting at home a try. I am actually seriously thinking of giving this a go, to start with I only need a glass jar which I already have. 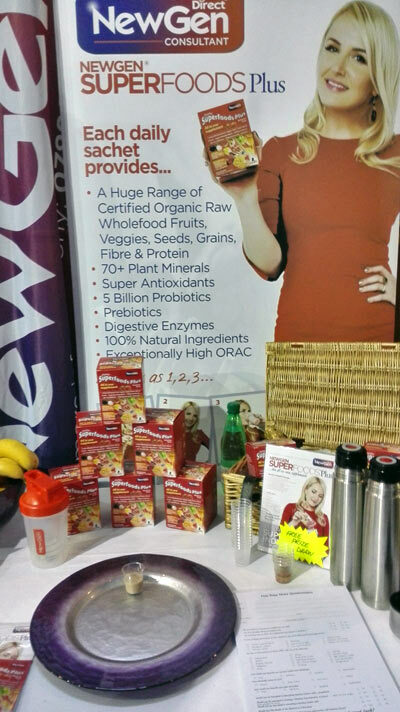 So there you have it, some of the health brands I encountered at the West Midlands vegan festival. Have you heard of them before? Health Weekend Blog Party run by Karen from Beyond the Bathroom Scale. Thanks! Yes, this kind of events are great, I just wish there were more of them near where I live.. Almost went to this so good to see what is out there! Tried Pulsin before and loved it! That would make a nice Christmas present. I love that it’s suitable for all different types of skin and it’s 100% natural.